‘A relatively short day’s paddling on the River Gambia today, as we wanted to stop and visit another gold mine in South Eastern Senegal. 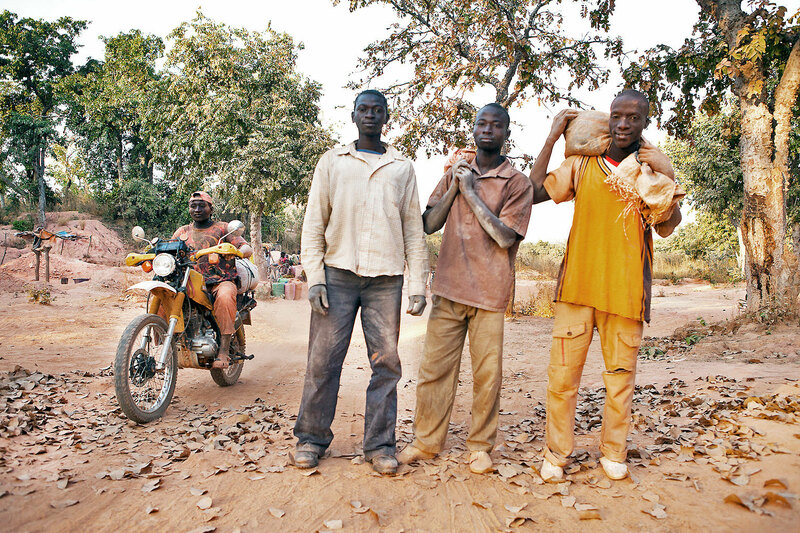 This stretch of the river is dotted with artisanal gold mines – which draw thousands of migrant workers from all over West Africa: Guinea-Bissau, Ghana, Guinea-Conakry, Mali, and Senegal itself. All of them hoping to make their fortune. 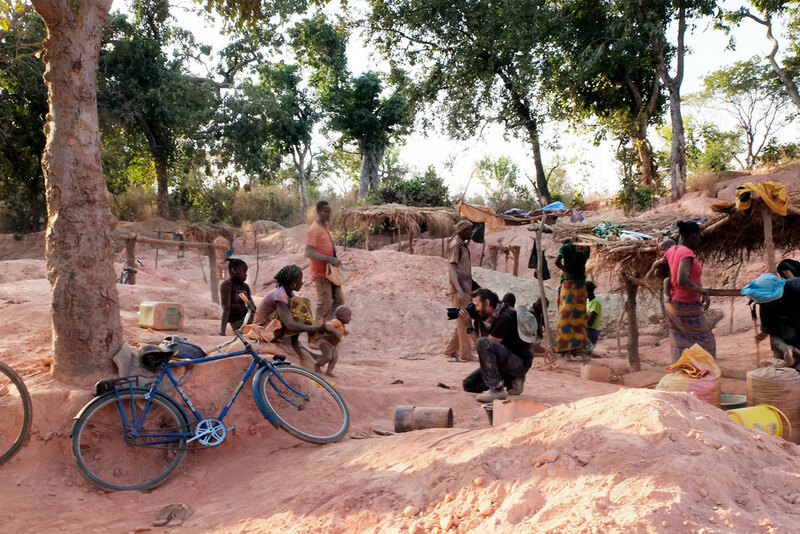 Whole families live in and around the mines, in makeshift villages (rather disconcertingly described as the ‘Wild West‘ of SE Senegal, during our pre-expedition research). All the mines we visited were understandably dusty, but this one, in particular, had an extremely fine, pink-hued, dust which got into absolutely everything. Even our tents, and canoes, situated by the river – over 2 miles away from the mine itself – were covered in a fine film of the pale pink, talc-like dust. But, at least we could pack up our tents and leave the next day, washing away the dust. Many of those people whose lives revolve around the gold mines, for months and years in some cases, aren’t so lucky, as they inhale toxic fumes from the mercury – used to separate the gold from the rock dust…’ Words by Helen Jones-Florio. Read more on the River Gambia Expedition blog.